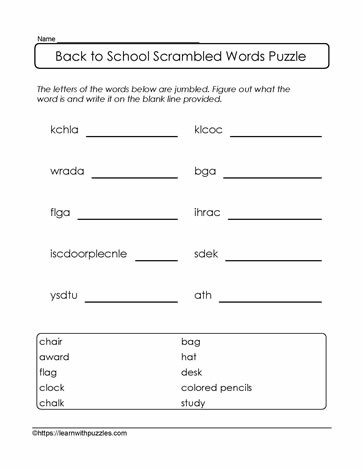 Back to school printable vocabulary puzzle. Have students unscramble this easy word puzzle for back to school. Engage the brain with puzzles and building new vocabulary. Suitable for mid- to late primary students.